Bond LSC researcher Stefan Sarafianos stands in the LSC atrium. The virologist is an associate professor of molecular microbiology and immunology and Chancellor’s Chair of Excellence in Molecular Virology with appointments in MU’s School of Medicine and the Department of Biochemistry. Resistance is the price of success when it comes to treating HIV. Virologists at the Bond Life Sciences Center are helping to test the next generation of anti-AIDS medication to quell that resistance. 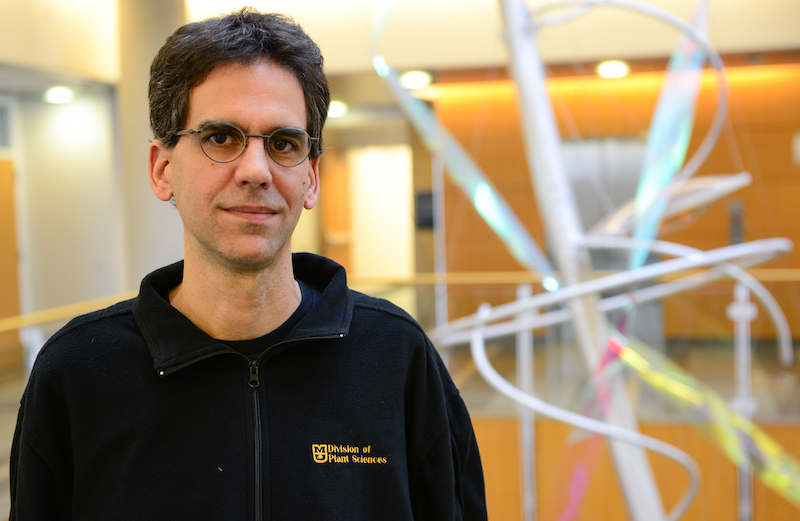 Stefan Sarafianos’ lab recently proved that EFdA, a compound that stops HIV from spreading, is 70 times more potent against some HIV that resists Tenofovir – one of the most used HIV drugs. Sarafianos and a team of researchers found that EFdA (4′-ethynyl-2-fluoro-2′-deoxyadenosine) is activated by cells more readily and isn’t broken down by the liver and kidneys as quickly as similar existing drugs. “These two reasons make it more potent than other drugs, and so our task is to look at the structural features that make it such a fantastic drug,” he said. The path from EFdA’s discovery to current research is a bit unorthodox. A Japanese soy sauce company named Yamasa patented this molecule, which falls into a family of compounds called nucleoside analogues that are very similar to existing drugs for HIV and other viruses. EFdA was designed and synthesized by Hiroshi Ohrui (Chem Rec. 2006; 6 (3), 133-143; Org. Lett. 2011; 13, 5264) and shown by Hiroaki Mitsuya, Eiichi Kodama, and Yamasa to have potential usefulness against HIV. Samples sent for further testing confirmed EFdA’s potential usefulness against HIV. This started more than a decade of research to pinpoint what makes the compound special. EFdA joins a class of compounds called nucleoside reverse transcriptase inhibitors (NRTIs) that includes eight existing HIV drugs. Like all NRTIs, EFdA hijacks the process HIV uses to spread by tricking an enzyme called reverse transcriptase (RT). RT helps build new DNA from the RNA in HIV, assembling nucleoside building blocks into a chain. Since EFdA looks like those building blocks, RT is tricked into using the imposter. When this happens the virus’ code cannot be added to the DNA of white blood cells it attacks. “NRTIs are called chain terminators because they stop the copying of the DNA chain, and once incorporated it’s like a dead end,” Sarafianos said. Sarafianos isn’t alone in studying EFdA. The virologist’s lab works closely with University of Pittsburgh biochemist Michael Parniak and the National Institutes of Health’s Hiroaki Mitsuya to explore the molecule’s potential. Mitsuya had a hand in discovering the first three drugs to treat HIV and Parniak has spent years evaluating HIV treatments using cultured white blood cells. Sarafianos’ focus requires him to take a very close look at EFdA to define how it works on a molecular level. He uses virology, crystallography and nuclear magnetic resonance to piece together the exact structure, bonding angles and configuration of the compound. By looking at subtle differences in EFdA’s sugar-like ring, his lab identified the best structure that looks the most like actual nucleosides, doesn’t break down easily and is activated readily by CD4+ T lymphocyte white blood cells. The research of Sarafianos, Parniak and Mitsuya continue to uncover the magic of EFdA. In 2012, they showed that the drug worked incredibly well to treat the HIV equivalent in monkeys. HIV prevention is the newest focus in their collaboration. By recruiting formulation expert Lisa Rohan at the University of Pittsburgh, they are now putting EFdA in a vaginal film with a consistency similar to Listerine breath strips. While AIDS in the U.S. occurs mostly in men, the opposite is true in sub-Saharan Africa where more than 70 percent of HIV cases occur. Since a film has a better shelf life than creams or gels, it could benefit those at risk in extreme climates and third-world countries. Despite this success, Sarafianos and Parniak aren’t slowing down in figuring out how EFdA works so well. Grants from the National Institutes of Health fund this research. In 2013 and 2014, the journals Retrovirology, Antimicrobial Agents and Chemotherapy and The International Journal of Pharmaceutics published this group’s work on EFdA. 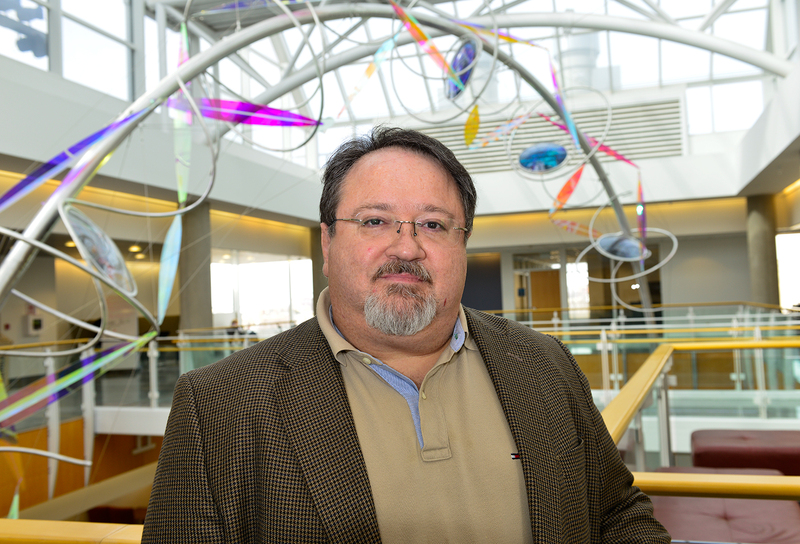 Sarafianos is an associate professor of molecular microbiology and immunology and Chancellor’s Chair of Excellence in molecular virology with MU’s School of Medicine and a joint associate professor of biochemistry in the MU College of Agriculture, Food and Natural Resources. A princess kisses a frog and it turns into a prince, but when a scientist uses a frog to find out more information about a grapevine disease, it turns into the perfect tool narrowing in on the cause of crop loss of Vitis vinifera, the world’s favorite connoisseur wine-producing varietal. MU researchers recently published a study that uncovered a specific gene in the Vitis vinifera varietal Cabernet Sauvingon, that contributes to its susceptibility to a widespread plant disease, powdery mildew. They studied the biological role of the gene by “incubating” it in unfertilized frog eggs. 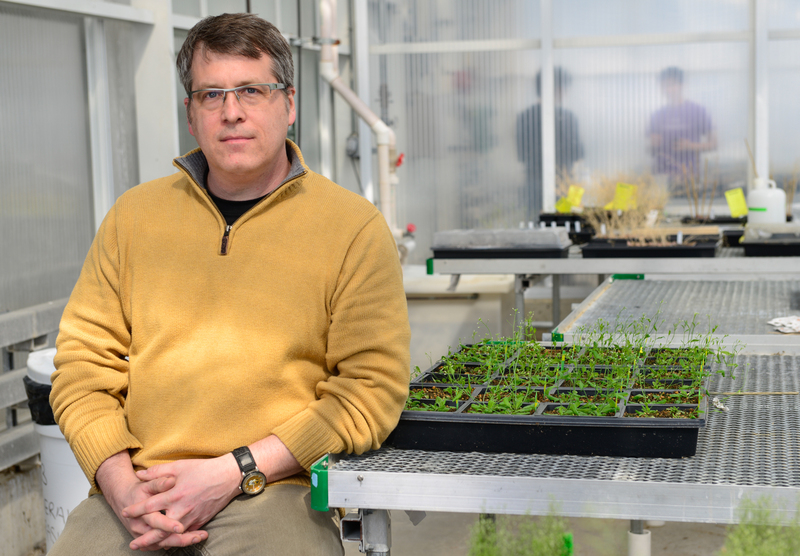 The study, funded by USDA National Institute of Food and Agriculture grants, was lead by Walter Gassmann, an investigator at the Bond Life Sciences Center and University of Missouri professor in the division of plant sciences. The findings show one way that Vitis vinifera is genetically unable to combat the pathogen that causes powdery mildew. Gassmann said isolating the genes that determine susceptibility could lead to developing immunities for different varietals and other crop plants and contribute to general scientific knowledge of grapevine, which has not been studied on the molecular level to the extent of many other plants. The grapevine genome is largely unknown. “Not much is known about the way grapevine supports the growth of the powdery mildew disease, but what we’ve provided is a reasonable hypothesis for what’s going on here and why Cabernet Sauvingon could be susceptible to this pathogen,” Gassmann said. The research opens the door for discussion on genetically modifying grapevine varietals. Theoretically, Gassmann said, the grapevine could be modified to prevent susceptibility and would keep the character of the wine intact — a benefit of genetic modification over crossbreeding, which increases immunity over a lengthy process but can diminish character and affect taste of the wine. Gassmann’s recent research found a link between nitrate transporters and susceptibility through a genetic process going on in grapevine infected with the powdery mildew disease. Infected grapevine expressed an upregulation of a gene that encodes a nitrate transporter, a protein that regulates the makes it possible for the protein to enter the plant cell. Once the pathogen is attracted to this varietal of grapevine, it tricks grapevine into providing nutrients, allowing the mildew to grow and devastate the plant. As leaves mature, they go through a transition where they’re no longer taking a lot of nutrients for themselves. Instead, they become “sources” and send nutrients to new “sink” leaves and tissues. The exchange enables plants to grow. The powdery mildew pathogen, which requires a living host, tricks the grapevine into using its nutrient transfer against itself. Leaves turn into a “sink” for the pathogens, and nutrients that would have gone to new leaves, go instead, to the pathogen, Gassmann said. “We think that what this fungus has to do is make this leaf a sink for nitrate so that nitrate goes to the pathogen instead of going to the rest of the plant,” Gassmann said. 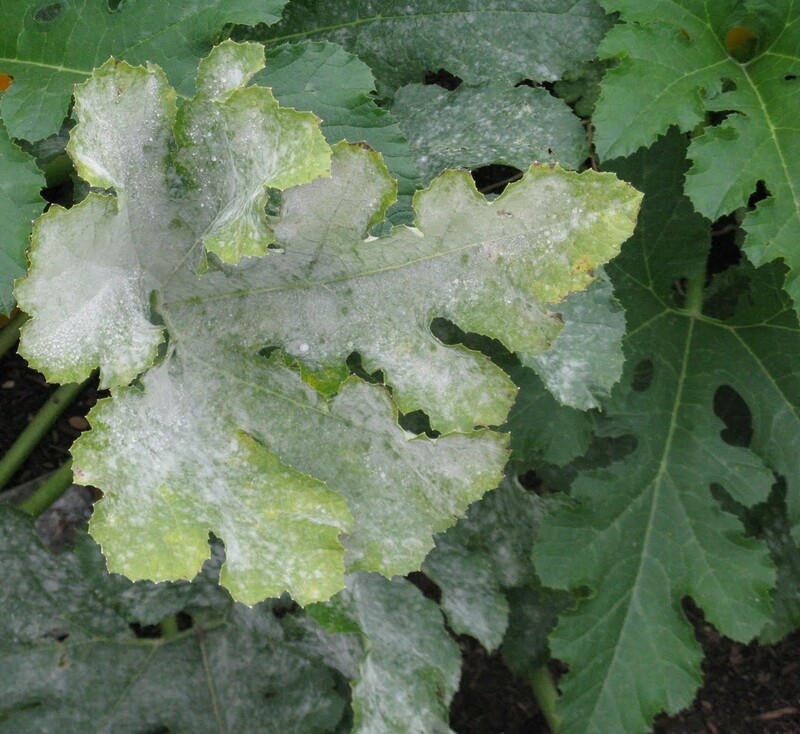 Powdery mildew appears as white to pale gray “fuzzy” blotches on the upper surfaces of leaves and thrives in “cool, humid and semiarid areas,” according to the report. Gassmann said powdery mildew affects grapevine leaves, stems and berries and contributes to significant crop loss of the Vitas vinifera, which is cultivated for most commercial wine varietals. Solutions to problems start with finding the reason why something is happening, so Gassmann and his team looked at a list of genes activated by the pathogen to find transporters that allowed compounds like peptides, amino acids, and nitrate to pass. Genes for nitrate transporters, Gassmann said, pointed to a cause for vulnerability to the mildew pathogen. Over-fertilization of nitrate increases the severity of mildew in many crop plants, according to previous studies sited in Gassmann’s article in the journal of Plant Cell Physiology. The testing system for isolating and analyzing the genes began with female frogs. Gassmann used frog oocytes (unfertilized eggs), to verify the similar functions of nitrate transporters in Arabidopsis thaliana, a plant used as a baseline for comparison. A nitrate transporter, he hypothesized, would increase the grapevine’s susceptibility to mildew. The eggs are very large relative to other testing systems and act as “an incubating system” for developing a protein. Gassmann and his team of researchers injected the oocyte with RNA, a messenger molecule that contains the information from a gene to produce a protein. The egg thinks it’s being fertilized and protein reproduces and is studied. The system confirmed that the gene isolated from grapevine encodes a nitrate transporter. The mounting knowledge of Vitis vinifera genes could make genetically modifying the strain to prevent the susceptibility easier. Sharon Pike, Gassmann, other investigators from the MU Christopher S. Bond Life Sciences Center and post-doctoral student, Min Jung Kim from Daniel Schachtman’s lab at the Donald Danforth Plant Science Center in Saint Louis, Mo. contributed to the report. The article was accepted November 2013 into the Plant Cell Physiology journal. Sometimes plants inadvertently roll out the red carpet for bacteria. Researchers at the University of Missouri Bond Life Sciences Center recently discovered how a plant’s own chemicals act as a beacon to bacteria, triggering an infection. Proceedings of the National Academy of Sciences published their study April 21. The question of how bacteria actually know they are in the presence of a plant has puzzled scientists for years. Being able to identify the difference between a plant cell and, say, a rock or a piece of dirt, means the bacteria saves energy by only turning on its infection machinery when near a plant cell. Peck’s work started with one mutant plant called Arabidopsis mkp1. Discovered several years ago by Peck’s lab, this little mustard plant acts differently than others by rebuffing the advances of bacteria. Lab tests confirmed that this mutant didn’t get infected by Pseudomonas syringae pv. tomato DC3000, a bacterial pathogen that causes brown spots on tomatoes and hurts the model plant Arabidopsis. Along with MU biochemistry research scientist Jeffrey Anderson and post doc Ying Wan, they showed that this mutant didn’t trigger the bacteria’s Type III Secretion System, the needle-like syringe and associated proteins that lead to infection. Pacific Northwest National Laboratory (PNNL) worked with Peck’s team to compare levels of metabolites between the mutant Arabidopsis and normal plants. This comparison helped Peck identify a few of these chemicals – created from regular plant processes – that existed in much lower levels in their special little mutant. Using the PNNL work as a guide, the team found five acids collectively had the biggest effect in turning on a bacteria’s infection: aspartic, citric, pyroglutamic, 4-hydrobenzoic and shikimic acid. First contact and recognition means all the difference, whether bacteria or plant. Just a slight jump out of the starting blocks by one or the other could change who will win a battle of health or infection. While low concentrations of these five acids trigger the bacteria’s attack, high levels blind it to the plant’s presence, leading Peck to believe it could be used to hinder bacterial growth. If this actually thwarts the bacteria’s head start, it could mean stopping disease in crops and could lead to a different approach in the field. Peck’s team believes at least some other bacteria will respond to these chemical signals, and he plans to test other bacterial pathogens to make certain. They also want to test bacteria to see if they are more virulent in humans once primed for attack by these plant chemical signals. A $500,000 grant from the National Science Foundation supported this research. Recently, one of our investigators, J. Chris Pires traveled to Fudan University in Shanghai and the Wuhan Vegetable Research Institute for the 19th annual Crucifer Genetic Workshop and Brassica 2014 Conference in Wuhan, China. Pires was invited to the esteemed event as the keynote speaker of the Brassica Conference. He led workshops as part of the three-day conference March 30 through April 2 and also visited Fudan University in Shanghai during the trip. Pires is an associate professor in biological sciences and focuses much of his research on the evolution of plants. 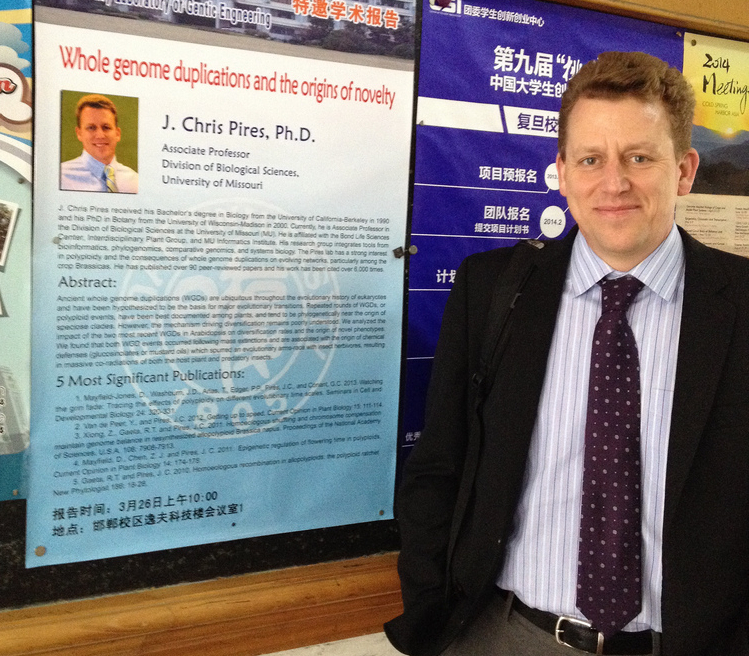 His talk at Fudan University discussed his research on whole genome duplications and the origins of novelty in plants. Chris Pires, investigator and associate professor in biological sciences at the Bond Life Sciences Center at Fudan University in Shanghai. 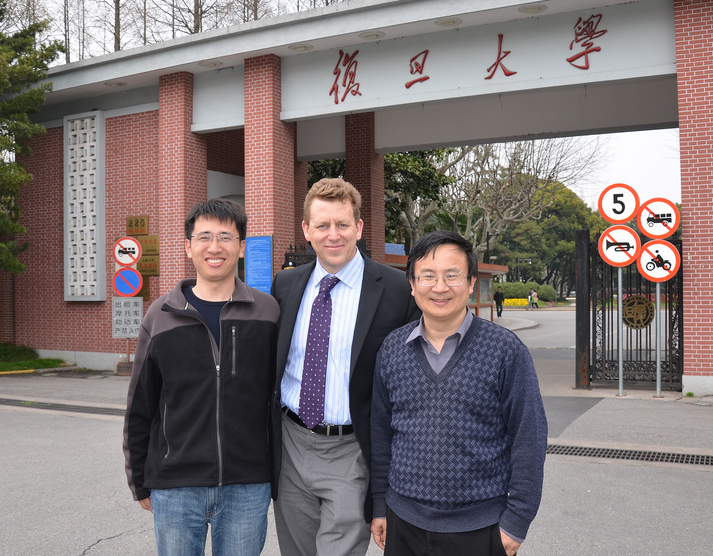 Pires with Hong Ma, the dean of life sciences at Fudan University (right) and an assistant professor (left). Pires traveled to Shanghai to lead a workshop at the university over his research in whole genome duplications in plants. 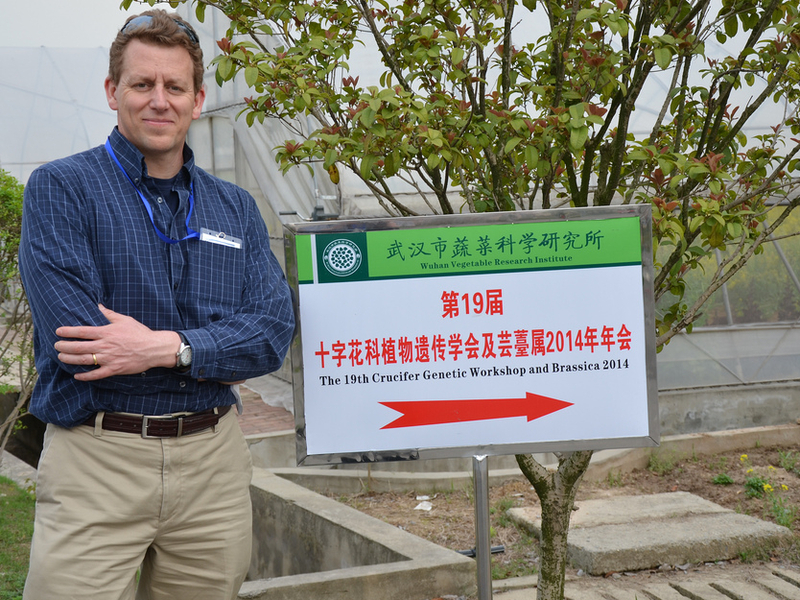 Pires at the 19th Crucifer Genetic Workshop and Brassica 2014 at the Wuhan Vegetable Research Institute in Wuhan, China. Pires was the keynote speaker at the conference.